hello, late and tired. so very quickly.. 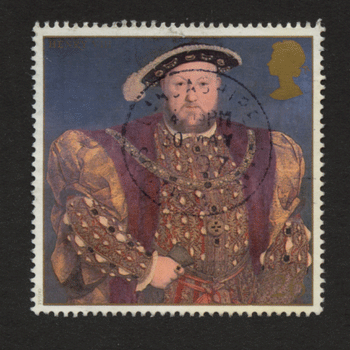 I posted the Henry VIII stamp yesterday because it was the anniversary of his birthday on 28th June..
the Prince of Wales question.. he was made Prince of Wales in 1503. Well done to Meena I will send you a prize.. but I hope many of you can go through your collections and help us all with any extras you have for the set, which had 6 other stamps, one for each of his wives. Hello everyone, First many thanks to all of you who regularly read the blog. Second thanks to those of you who tell your friends about the blog. I write because I enjoy writing, because I enjoy the research and because I hope so many people like me enjoy stamps and topics associated with stamps. Today seemed to me a day where someone should be remembered and since I also enjoy reading history this came to mind. /iconexhibition1/henry I think you will enjoy the link and the pages associated with this web site. I enjoy looking through this site occasionally and I hope you will do. You will see this stamp. It is one of 7 issued in a set in 1997. Why? Easy question and the prize could be a set of the stamps. But before you jump to send me a reply read on…tonight something different. To get a set of the stamps you have to a) answer the question above and the one further on…and b) hope enough people send me the stamps in the set.. and can you contribute.????? You see I don’t have a full set of these myself. Sad eh!! So here is my suggestion - if anyone has a spare of any of the stamps in the set please send it / them to me at cddstamps, PO BOX 3482, Dural NSW 2158, Australia. If I get one set I will send one prize, if I get two sets I will send two prizes etc. I will not keep any for myself except what is left over and does not make up a set. Sound fair. I think so. To win a set and you don’t have to send me a stamp or stamps, just send me an email to cddstamps@gmail.com with the answer to the following question and the question above .…. ok I will make it easy as well… in what year was Henry made Prince of Wales ???? So two questions 1) why the 1997 issue... 2) what year was Henry made Price of Wales? I will publish, in the weeks ahead, exactly how many stamps I receive and who the winner are……….... so please don’t be shy or think I am keeping these for myself.. audit as per SOX compliance rules apply. Big Smile here……. stamps from what country tonight..
seriously.. do you expect me to show stamps tonight.. may some of people falling over, maybe some of people throwing themselves on the ground, .. get my drift.. how depressing was it how Australia lost to Italy.. lost did I say.. robbed.. would be more like it.. and I am not that strong an Australia soccer supporter but having played the game let me tell you that was one very unfair decision... whether seen live on TV or the photo stills.... nothing to be proud of in that "win". 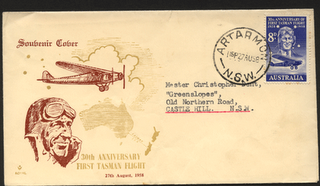 A lovely cover tonight.. well I think so.. it is from 1958 . the 30th Anniversary of the First Tasman flight..
just found it in some old envelopes.. some people collect these.. am thinking next time I go flying I will have some covers made. something unique just for my flight..
and I show this ..
What can I quiz you on for this cover to be the prize . I have no idea so this quiz is... you send me the question.. best question in my humble opinion will win the cover. 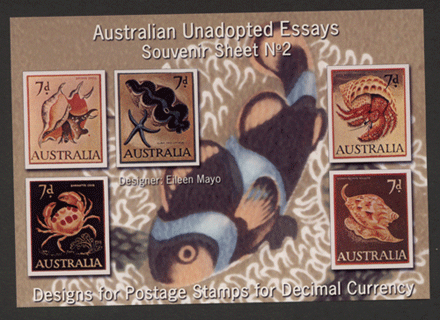 I know this might not mean much to all stamps collectors in some parts of the world but it is something important to everyone here in Australia. I should be supporting England of course.. in fact I am really .. honestly... but I feel an obligation to fly the flag of the country I live in. so much that I could write about.. will be brief though. Have written so much recently.. too much eh!!! I have had some emails recently from you with some useful web links.. this one about Beatles on stamps.. (thanks Jane) www.geocities.com/Lunardig17/Beatles-Stamps.html all revenvue raising countries dont you think... and that reminds me .. Royal Mail is issuing a set of stamps showing the Beatles in January next year. I wondeer if any will get used. Australia Playing Croatia tomorrow my time.. still time to enter my last competition and tell me your prediction of the score. England topped the group I see.. well as expected what next for them..
Hope you get time to read previous postings as - to be honest - there are still some covers and booklets available as giveaways. a long way off .. maybe if I am lucky.. no pictures of the stamps to be issued in January 2007 of the Beatles but surely there are many stamps from other countries already issued showing "the fab four"
nothing to do with stamps but lets have something different for a change.... and after all the Beatles were, and still are, something special... hhhmmmmm ...am listening to the the first Kinks album on CD in the car at the moment.. .. great album.. listen to "so mystifying" and close your eyes..
anyone seen the Kinks on stamps.. not me .. dont think that has ever happened ??? but I am always open to be corrected.. I dont usually mention eBay lots but these are pretty good in my humble opinion. Do you sell on eBay? .. are you a member of the IPDA ? I have written about this before and I hope you have had time to think about joining if you do sell.. I made some offer I seem to recall.. well I was going to .. sign up for the IPDA and you will get a few free plugs on my blog.. and I am getting over 700 pages views a day now..most days .. and that is even with the World Cup going on.. there I go again..back to soccer. 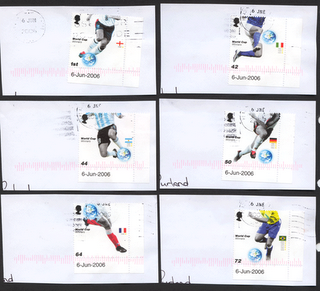 b) send you a free GB FDC as a thank you. I said I got some treasures in my PO Box yesterday. Here is one of them. Not high cat value but all the same a nice addition to anyones collection, especially if you collect GB booklets, or just the panes as catalogued. 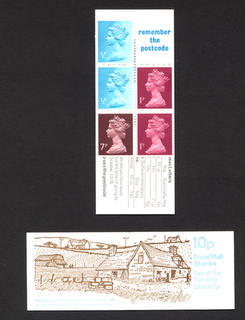 This is one of the 1978 Farm Buildings series of 10p booklets of which there were 6 different designs issued. 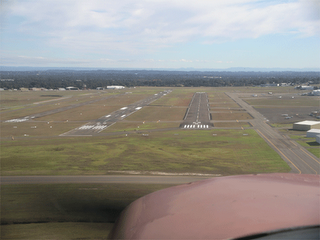 The booklet pane is SG X843m. 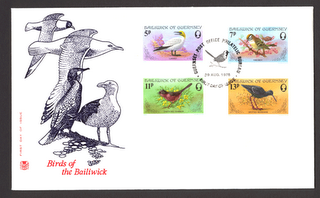 I have mentioned his web site before and if you collect GB stamps do have a look. He has a brilliant site by my reckoning...I only wsh I could create what he does. and he is a Director of the IPDA (Internet Philatelic Dealers Association, in case this is new to you ) so you know you are ok with anything you buy from him. Yes shameless plug for the IPDA http://www.ipdaonline.org/ but you do need to know if you are buying from someone, to fill a special gap, that they have some credentials. Anyway, less of my ramblings..... anyone want one of these booklets just email me at cddstamps@gmail.com with the name of the places in which the Farm building are found..
there are 5.. ok.. the 6th booklet is just Oast Houses.. so I am looking for 5 names.. well 4 I guess as you can see one.. Wales on this scan. Enjoy the research ,, and first entry that also gives me the dates of issue of each booklet will get a GB FDC as a bonus.. These in particular. What do you see? I have more to show but they will wait until tomorrow or another night. As for things related to the World Cup - is there anyone out there that gives more than one cents worth of time for politicians. Go one, let me test your mettle here. If I told you my views you might agree and get even more of your friends to read my blog.. or you might be upset … but let me prove my point.. have a read of questions 41 to 45 from the following site .. all to do with World Cup soccer and England.. amazing stuff… yes it was in 1999.. scary, though you UK people were paying this person. No different over hear I might add. and many thanks for sending it to me.. and for reminding me that next month we have the date 08-07-06... well there are surely some interesting numbers to be found that we just don't think of.. any others this year ??? write me please. am too tired to think this one through. 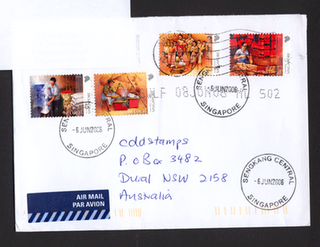 So I thought you might like to see the envelope I got from Singapore.. with the 06-06--6 franking.. although like many postal authorities they do not actually use all numbers.. ....pity... sender address deleted for privacy reasons of course.. quite nice dont you think..
has anyone actually got a cover with the franking all numbers 06-06-06.. I would be surprised.. but if you do please send a scan to me and I will show it to everyone. What a day.... good start as I had an IPDA Board meeting and was elected to the Publicity Officer role. That means I am going to publicise the IPDA.. more than I have done.. because I think you should be aware of the organisation. If you sell stamps online in any way please think about joining.. small organisation at this point in time but run by a very dedicated and competent group of people who really want the selling of stamps on the internet to be a good experience..... and if you buy from someone who is an IPDA member you know we have checked them out and feel they deserve membership to the values we hold true to. Anyway, if you want any more information write to me or just follow the links on the web site I mentioned... As publicity Director ( as well as regional Director for Australia) I am sure there are some liberties I can take.. in promoting the organisation.... so I personally will send any new member 10 FDC of my choice as a signing bonus.. if they sign by end of June. Ok not much but just to show you I think it an organaisation getting involved with.. I wont be writing tomorrow as I am going drinking after work with my staff... sure,..... you can join us if you are in Sydney.. so to remind you..
Hi.. internet drop outs all yesterday so no blog and now I cannot get into my cddstamps weblog.. so short piece.. following on from my 06-06-06 piece, Adrian sent me this scan and the information about this issue based on 02-02-2002!!!! It was the date of the marriage of the crown prince of the Netherlands. 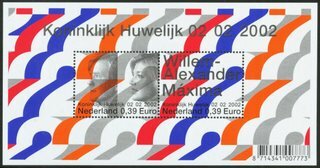 The design was based largely on all those 2's, with the red, white and blue being the Dutch flag and the orange being 'The House of Orange' and the silver giving it a royal sheen. interesting I thought. Also I received a letter from Singapore dated 06-06-06, how wonderful of you Florence to think of me.. I am so pleased. Thank you, and also for the stamps for the Childrens Corner. Hello, what new stamps have you seen this past week? All I ever seem to read about in the stamp magazines are new issues. So many, and where do people find the money to buy them I wonder. I have recently cancelled my Isle of Man and Guernsey and Alderney accounts. I cancelled my GB new issues some years ago. All too much for me to be honest. I only collect used copies now of GB commemoratives and mint Machins. What do you collect? and are you finding countries are issuing more for the collector dollar (or whatever currency you have) rather than the postal needs of the country? I have read about the new GB issue – some issue – for the world cup. While the issue starts off with 6 stamps - not too bad and featured by me some weeks ago - it goes on to include a “generic sheet” which costs £6.95 for 20 stamps with pictures (in the form of “stamps” ) called stills of the “finest hour”. Pictures that is, from the 1966 world cup. Which you may know England won. Are we still gloating and celebrating 40 years later. hee hee.. well they did win their opening game in this years world cup I am reliably (by my son) informed…………… Why it is the finest hour I don’t know since the pictures span the time from the opening of the gates at the stadium until the time England saluted the crowd with the cup.. but then does anyone know why the Royal Mail does anything these days… except to raise revenue. A business objective I understand, but surely they are going to kill the goose that laid the golden egg sooner or later. Take the Washington World Philatelic Exhibition issue from the Royal Mail. 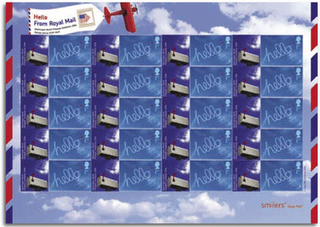 To commemorate this event Royal Mail has issued a sheet of 20 stamps – 20 of the Hello stamps…. 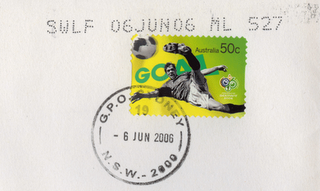 namely SG 2262, issued March 2002. attached to an “iconic image” ( Royal mail wording ) …. of a United States mailbox. Anyway.. I feel like I am on a roll here J Do you collect these Generic Smilers sheets.. I cannot afford to.. how can you ? And why do you.. please enlighten me.. what am I missing.. Finally. in answer to a question on my favourite stamp club board .. “what do you think of the Washington Smilers generic sheets” .. I think they are absurd.. a ripoff.. a waste of money, awful, an infringement of the code of philately – surely there is one :-) , and above all totally inappropriate and unrelated to the event they are supposedly issued for. I have 4 of these.. slightly different positions but all in lovely condition.. I need your advice .. I want two for myself.. should I try to sell two on eBay.. or Stampoffers.. or offer them here... tricky eh!!!!!! tell you what.. and I am nuts to do this.. if you want these send me US$40 via paypal and I will send you the two spare I have ... and you will know you have 2 of the 4 that were made by me. I can show full envelope scan if you email me to ask for that: ... they are addressed to cddstamps and are in unopened envelopes. 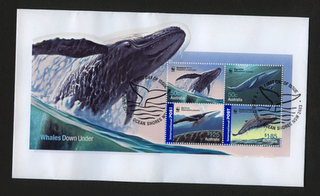 email me at cddstamps@gmail if you have questions or want to see scans of the full envelopes. Remember these cannot be reproduced as genuine, because of the franking across the top... that is the SWLF etc text. What a surprise I got today... anyone remember my "Red Robin".. about a year ago.. well it came back to me today.. one year.. awesome.. I thought I had lost the stamps.. many thanks to those who did give me something back for what I offered to them.. one person is still on the circuit but for some reason the mailing came back to me.. I will send it on to that person and top up the stamps so that person gets a choice selection.. after all they have been waiting a year for a round (red) robin. tomorrow I will get to the PO Box.. and collect my mail.. I hope to show the 06 June 06 frankings.. in the meantime.. ... thanks for the emails.. Adrian wins the essay.. what a brilliant email .. some details below about the designer.. here name was on the sheet.. I made it too easy didn't I..
Mayo, Eileen Rosemary; Dame (1906-94).Born in England, she studied in London at Slade School of Art (wood engraving and theatrical design) and Chelsea Polytechnic (sculpture, with Henry Moore), as well as in Paris at the Rubord atelier (tapestry) and Academy Montmartre (under Fernand Leggier). She herself lectured at St Martins School of Art and Sir John Cass College in London then, after moving to Australia in 1953, at the National Art School in Sydney (1957-62). After separating from her husband, in 1962 she moved in NZ, where her mother and sister had lived since 1921, and joined them in Waimate (South Canterbury). In addition to being a printmaker, illustrator, calligrapher and muralist, she designed coins, stamps, tapestry and posters, and wrote and illustrated eight books on natural science. Something different tonight.. a stamp essay. You all know what an essay is.. you wrote them in school .. but a stamp essay is something different. It is a prototype for a proposed stamp. In contrast, a proof is the prototype of an accepted stamp. Both essays and proofs are rare, as usually just a few are produced. They are not originally intended to be sold publicly, well to start with anyway, but handled by insiders or held in postal museums or collections. Possibly the first essay of a stamp not accepted is the Prince Consort Essay from 1850. My scan below is of a reproduction sheet I received in my copy of the Australian Stamp News..
an unadopted essay….. Souvenir sheet.. . in other words a reproduction of the original essay. 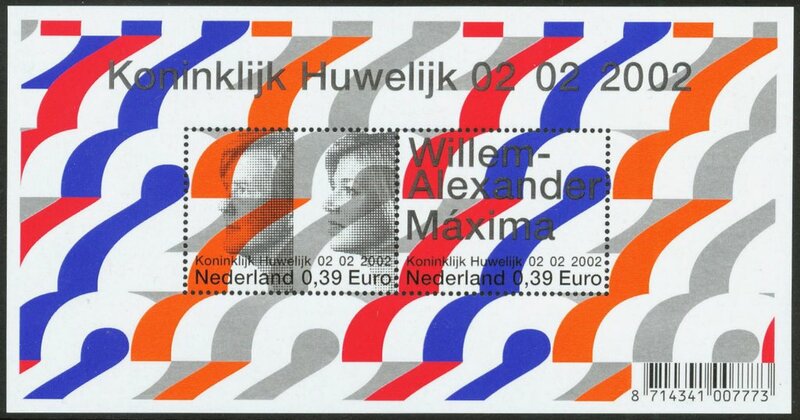 The original is held in the National Philatelic Collection. 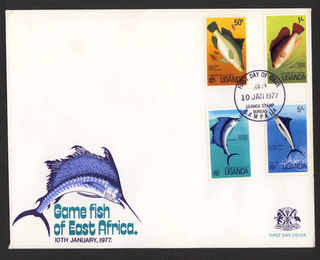 As I had some fish on last nights cover I thought this might be a nice follow up to that Uganda cover. By the way I got some fantastic emails and one included pictures of people catching those fish ...amazing... Thanks Buddy..
Hello, how we all? Managing to find time to spend with your stamps? Lucky you. I did manage to find 15 minutes today to go to the post office and mail some letters. Some to those of you who won auction lots. You may be pleased when you see what I am sending as the letters are hand franked for 06 06 06. I mailed letters to myself as well, all with hand frankings. I do hope they arrive clean. Will show then to you when I get them. Have not had a chance to read my emails or spend any time with stamps so have little of interest to write. As I said last night I am becoming the most boring person around.. well you don’t have to agree with me you know. Work is nuts is all I can say, and arriving at 7:30 and leaving at 6:30 is not good for anything except the bank balance. Just think, I cannot even make time to look at eBay and spend all this hard earned loot .... oh well that is life. When I get home I may try to find something interesting to show you. More later. Am home.. so what do you think of this cover? Hello everyone, guess what.. Mailed some stamps to many of you today, including those who won some of the Stampoffers lots. I should point out that there are still a few lots up for auction. Just click on the cddstamps auction link and you go right to the lots. All lots start at $1. Hope you have a look as there are some nice PNG presentation packs still available. I am basically giving these away for the cost of the postage. I might make a dollar but that only goes towards the costs of the postage for my quizzes. Tomorrow is an interesting date, 06-06-06. How many of you will be mailing yourself some letters to get that postmark. I might send a few to myself. Doesn’t come around very often does it :-) think about it I have (somewhere) 03 -03-03, same for 04 and same for 05. Of course I don’t know where they are in my boxes of stamps but one day they will surface no doubt. You may recall me talking about gbmachins work on the Millennium Machins a few weeks ago. Well this weekend I got a copy of the complete and published text. The format and presentation is superb and the content is even better. Brilliant work Roy. A series of Machins that are not that well recorded – except by Roy – and which I think you will really enjoy reading. Have a look at his web site http://gbmachins.co.uk or go one better and write to him for a copy. I have his site as one of my links.. always easy to find OK.
One final thought for today as I am nearly at my train station.. guess what we had here in Sydney today ......... A clue.. it is wet and falls from the sky. Really amazing stuff. :-) Sadly I read that none of it fell on our dams. Hi everyone,, these are the stamps I was refering to in my last article. They were issued on June 2nd 1953 for the Coronoation of HM Queen Elizabeth II. Hello everyone.. first a big thank you for all entries yesterday to the Paddington Bear question.. lots of entries and I will put names in a hat and get one of the children to draw a winner..
1627 British King Charles I granted a charter of incorporation to the Guiana Company. 1627 The Duke of Buckingham sailed from Portsmouth with a fleet to aid the Huguenots in the defence of La Rochelle. 1793 The final overthrow of Girondins and arrest of Jacques Brissot began the Reign of Terror in the French Revolution. am a bit jaded from the day and so was thinking on the train home how jaded are you from your day.. or how sharp are you ??? .. once I get some stamp topic in mind it seems to give me second wind.. so to speak.. so what stamp is this ... country?? ?, and value ?? ..